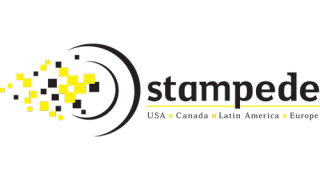 Seven information-rich presentations covering laser projectors, drone video systems, video walls, wireless collaboration, IoT security, and digital audio networking will highlight the Stampede Big Book of AV Tour & Conference Series when it stops in Denver, CO on March 16. The daylong event will take place at the Sheraton Denver Tech Center and feature two seminar presentations on network fundamentals for professional audio integrators presented by Yamaha Commercial Installation Solutions. Registration for the event is now open here. In addition to the two in-depth presentations on networking fundamentals hosted by Yamaha Commercial Installation Solutions (InfoComm CTS credit approved), the day will feature focused sessions on NEC’s latest laser projectors; an overview of drone and UAS business opportunities (InfoComm CTS credit approved); how to create a bigger picture with Samsung video walls and matrixes; the new age of business opportunities being created by drone video systems; an overview by wePresent of its BYOD and wireless presentation solutions; and a FIREFX overview of the basics involved in securing an IoT network for home and business applications. The Denver event opens with a dealer panel at 9:00 a.m. followed by a tech showcase exhibit at 10:00 a.m. The schedule includes complimentary breakfast, lunch, and the opportunity to win a free AEE drone (two will be given away). Every attendee will also receive a $500 Stampede credit and a $50 American Express Gift Card. Showcasing the latest in the pro AV market such as digital signage, audio, projection, and signal distribution, the daylong conference provides attendees with technology updates, insights, and keynote sessions from leading names in the industry, as well as training forums for total business needs. Current participating tour exhibitors include AEE, Atlona, AVTEQ, Casio, Chief, Christie, DJI, DisplayTen, Epson, Hitachi, HuddleCamHD, JELCO, Ken-A-Vision, LG, Luidia, Lumens, Luxul, Mustang, NEC, Oklahoma Sound, Optoma, Peerless-AV, Philips, Planar, Premier Mounts, Ricoh, Samsung, Sharp, Stewart Filmscreen, TAP it, TSI Touch, Unmanned Vehicle University, Vidyo, wePresent, WilsonPro, and xFOLD. After Denver, the series will stop in Vancouver, BC on March 23; Detroit, MI on May 4; and Dallas, TX on May 12.